'La Bamba' Rolando Arrieta reports on the first Latino crossover hit of the rock'n'roll era, a song based on a Mexican folk song. It was the late 1950s when a 17-year-old boy took an old Mexican folk song and set it to a rock 'n' roll beat. "La Bamba" made rock 'n' roll history when it became the first Latin-based song to cross over to the pop and rock audience. That teen-ager, Ritchie Valens, was made famous. To dance "La Bamba," one needs just a bit of grace. Those are the simple, catchy words of a very old folk song that Ritchie Valens made a rock 'n' roll classic. "When you stop to think what was accomplished with one record," Del-Fi records President Bob Keane says, "it's one of the phenomenons of this whole industry, as far as I'm concerned. I've never seen anything like it." Keane produced most of Ritchie Valens' recordings. In the summer of 1958 the two hit the road to promote the young new rock singer's first release, called "Come On, Let's Go." While Keane drove his Thunderbird, Valens played another song that caught his attention. "The first time I heard "La Bamba" with Ritchie was I was driving up to San Francisco with him for his first television appearance up there," Keane says. "He was in the backseat strumming his guitar all the way up there. And then I heard this melody, this `Dadadada da da da,' and I said, `Boy, that'd make a great rock record, I think. Let's try that.'" But Keane didn't think a Spanish-language song could be a hit. He was more concerned about Ritchie Valens' next release, a ballad called "Donna." This was the era of the 45. The hit song was usually on side A and the B side often considered a throw-away. Keane knew he had a winner with "Donna" and was eager to release the song nationwide. "We needed a flip side for it, obviously," Keane says, "so I chose 'La Bamba' because it was all in Spanish and I figured `Nobody's gonna play that,' because we didn't want any mixed air play, you know." Well, Keane's plan didn't work. Only a month after "Donna" hit number two on the pop charts, rock deejays everywhere added "La Bamba" to their playlist as well. "La Bamba" is originally an 18th-century folk song that comes from the Verracruz region on the Mexican Gulf Coast. It also refers to a dance performed mainly at weddings. The bride and groom try to tie a ribbon together with their toes while dancing "La Bamba" as a symbol of their love for each other. "La Bamba's" origin may go back even further, according to Beverly Mendheim, author of the book "Ritchie Valens: The 1st Latino Rocker." "The name itself, `Bamba,' is not Spanish," says Mendheim. "It is an African name. The word itself meant `wood,' and it had to do with the people dancing on a wooden floor. There has been an African roots link in Verracruz by way of Cuba. There also has been a link, too, within the Yucatan Peninsula." At first, Ritchie Valens didn't feel comfortable commercializing the Mexican folk song. He felt it was demeaning to his culture. And he was reluctant to sing in Spanish because his accent wasn't very good. So he paid a visit to his favorite aunt, Ernestine Reyes.
" Well, he came home one day and he says, `Tia, I have to translate this "La Bamba" into English.'" Reyes remembers. "I says, `OK. Let's sit down.' So we did, in Spanish, 'cause he didn't know Spanish at all." Reyes says since there are some 500 verses of "La Bamba," they gave up the idea to translate the song, and Valens recorded it in Spanish. "When we got into the studio, Ritchie showed up and he had a cold, a pretty bad cold," recalls Keane. "So I couldn't cancel the date and they couldn't get the musicians back, and I had to pay for the studio. So I had him stand off-mic and sing along with the track as we cut the track to make sure that the tempo was right and that the breaks were right and all that kind of stuff. And then later on we brought him and we had a two-track machine and we dubbed him in. There's a break and then, you know, the band goes silent, and he comes in, `Ba-la-ba-la, la bamba.' And right there he comes in just a little bit early on the off mic. So we didn't wipe it because we figured well nobody's gonna be playing this record anyway. So we didn't clean it up." To promote his new song, Valens made several TV appearances, "American Bandstand," "The Alan Freed Show." Some of his fans were shocked when they saw that he was Mexican-American. This was the first time they had seen a Latino playing rock 'n' roll. Handsome and charismatic, Valens quickly became the first Latino teen idol. "I mean, he became a pro overnight almost," says Keane. "He was a natural performer and he was a great singer, too, you know, he could sing, he could really sell a song." In early January, 1959, Valens began a tour of the Midwest called the Winter Dance Party. The winter was harsh that year and the tour was disorganized. The buses were not heated adequately, they kept breaking down and getting stuck in the snow. 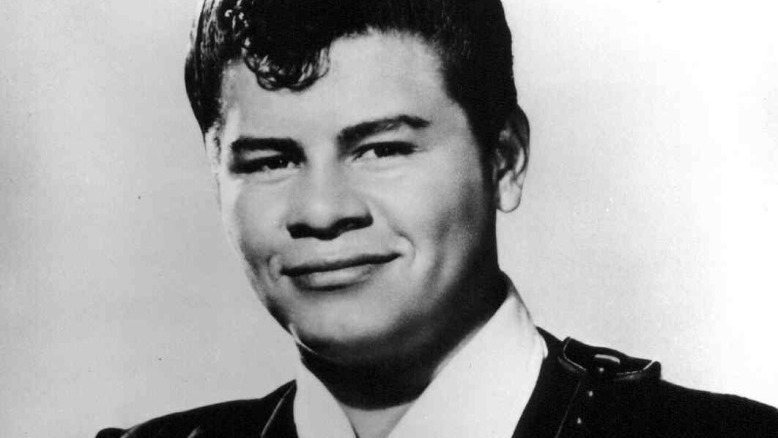 Ritchie Valens hated the cold and was miserable doing the four-state tour. "And so he called me--or I called him, I guess it was, the night before, and I was at a restaurant and I said, `Come on home, Ritchie,' you know, `To hell with that tour.' But he didn't. You know, he--I guess he figured he wanted to finish out because they had paid--the audience had already paid their money to see him and he wasn't gonna let them down. And it cost him his life, so..."
On February 3rd, 1959, Ritchie Valens boarded a plane with Buddy Holly and J.P. "Big Bopper" Richardson, headed for Fargo, North Dakota. A storm hit and the plane crashed near Clear Lake, Iowa, killing everyone on board. For the nine months that Ritchie Valens was in the national spotlight, he helped change the image of the American rock star. At the very least, by turning a traditional Mexican folk song into a rock hit, he cracked open the door for other Latino crossover artists. In 1987, the successful Hollywood movie called "La Bamba" introduced the song to a new generation worldwide. And once again, the song made most of us want to get up on our feet and dance.